LionsDeal > Tabletop & Bar > Restaurant Dinnerware > Melamine Dinnerware > Square Melamine Dinnerware >< G.E.T. Olympia Melamine Dinnerware > G.E.T. Enterprises OP-630-OL Olympia Melamine Oval Platter, 30" x 20-1/4"
G.E.T. 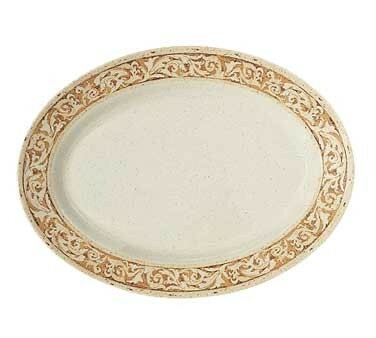 Enterprises OP-630-OL Olympia Melamine Oval Platter, 30" x 20-1/4"
G.E.T. Oval Platter, 30", Olympia. Melamine Oval Platter. Most products meet NSF standards and are safe and durable enough for use by any restaurant, cafeteria, school, senior citizen"s home or anyone who wants an attractive, almost impossible to break product!